Olivia Gown is new release from JUMO. This gown have 5 standard size included. + Gown | JUMO – Fashion for Ferosh – NEW!! + Jewel | CHOP ZUEY – Black Night Silver Moon – NEW!! + Shoe | JUMO – Dalilash Sandals (Silver / for Slink and more) – NEW!! + Make | JUMO – Sensitive Summer Eyeshadow (Iced Coffee) – NEW!! + Make | JUMO – Half Gold Lips (Red) – NEW!! 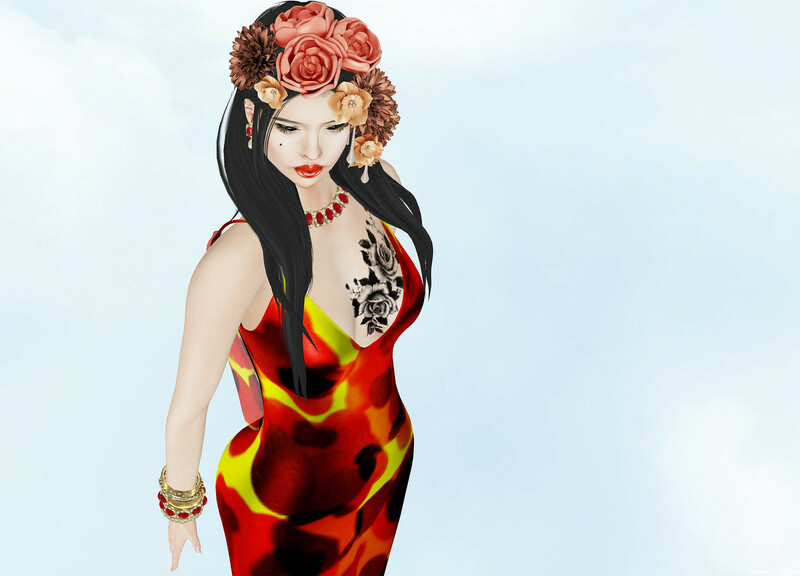 CHOP ZUEY, Exile, Glam Affair, La Boheme, PosESioN, Slink, The Annex, Valentina E.
First dress of Valentina E.. Dress and Over dress are sold each. They can wear repeatedly. These dress have 2 standard size S and M, 2 Slink size Physique and Hourglass. Next one Exile hair Wisteria. I bought color is 5 colors Natural Pack. There was another pack of pastel color. Which items are also prize of as much as today, 7th May. Please as soon as possible. 001 dress is new release from Better Heart. 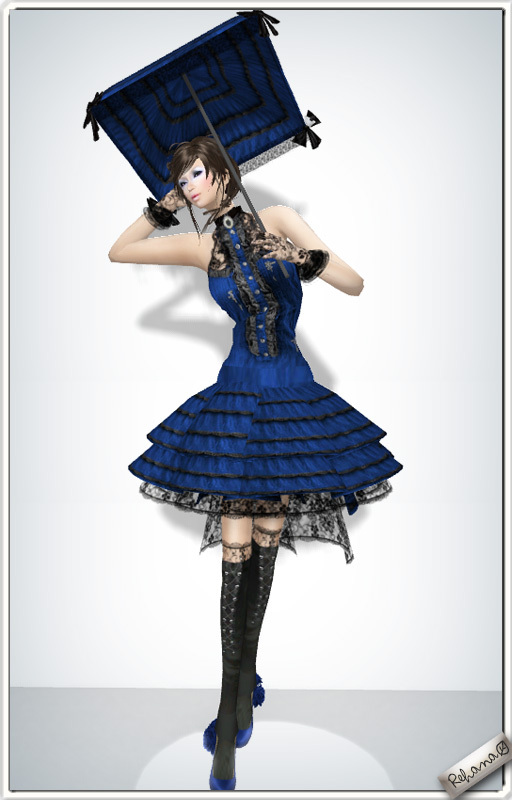 This dress are 5 fit mesh and crresponding to Belleza, Maitreya, Slink size included. Color can change vie HUD. + Outfit | Bitter Heart – 001 – NEW!! Catherine Gown is new release from Glam Dreams. Rehana worn color is Multi Yellow. 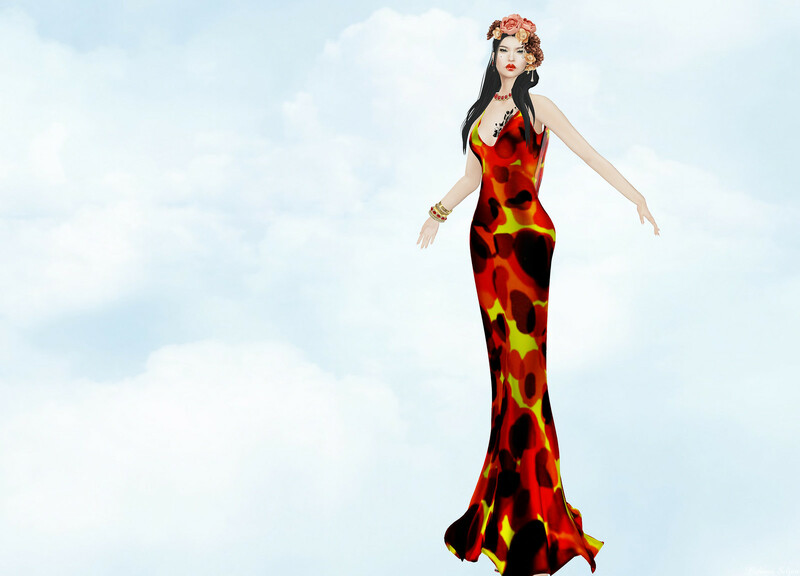 This gown have Belleza, Maitreya, SLink size and 5 standard size fit mesh included. Aloso, Tattoo is new release from Carol G, Breast Black Rose. It have Appliers included Belleza, Maitreya, SLink and Omega. It can not wearing for classic avatar. + Gown | Glam Dreams – Catherine (Multi Yellow) – NEW!! + Tattoo | Carol G – Breast Black Rose (for Maitreya and more) – NEW! !